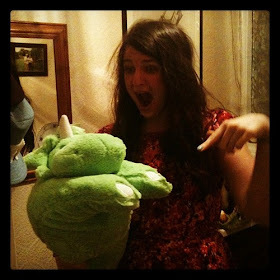 t*rexes and tiaras: Friday Favourites 112.. Despite the fact that the weather has it's heart set on keeping us in this state of seasonal limbo, in my head it's already Autumn and this week I've been dreaming up cutesy preppy, Gwen-Stacy-inspired outfits for it. 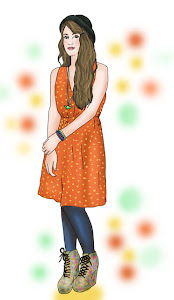 (Yes, I'm planning on basing future wardrobe choices on this article). 001: Yes, I remember the "No more coats" rule. But how pretty? Enough said. Good show, Matalan. 002: It's no secret that I love a printed shirt. 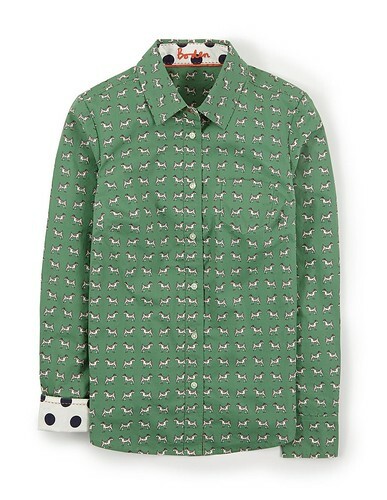 I have quite the collection, but this green dog print one from Boden has won me over with it's contrast cuffs. Super cute, right? 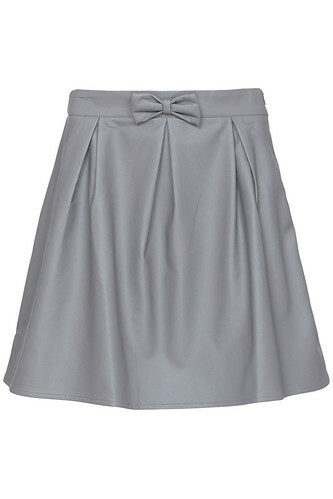 003: I've had this Sugarhill Boutique skirt bookmarked for quite a while, now. I didn't think the height of summer was really the time for buying (another) leather skirt. I did worry that it might be a little short, but maybe with tights it will be OK.
004: I really love the floral design on these Topshop tights. Maybe until I've finally got thoughts of tattoo designs out of my mind, these will serve as a suitable alternative. I really want this whole outfit! What have you been wishing for this week? I ordered the skirt - oops! The colour of that coat is gorgeous! 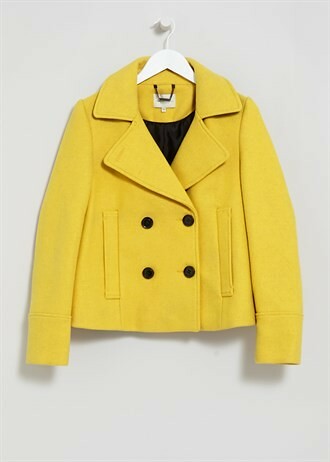 I really want a yellow coat for the upcoming months. If only that one from Matalan was a tiny bit longer! I want to be her at the moment. She has taken over as my wardrobe role model from Carrie Bradshaw, but I'm sure next time I watch SatC I'll be back to her! I love it - may have ordered it. ooops. Loving all of your choices especially the skirt. I think it would be a good basic..? Me too - such a pretty shade of green! Everyone seems really into yellow right now, it's not one of my favourite colours, I find it hard to style too. 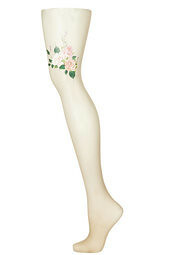 I like the tights, but would never wear anything short enough to show off the pretty detail. That was my thought about the tights as well. I'm not sure I'd do them justice.